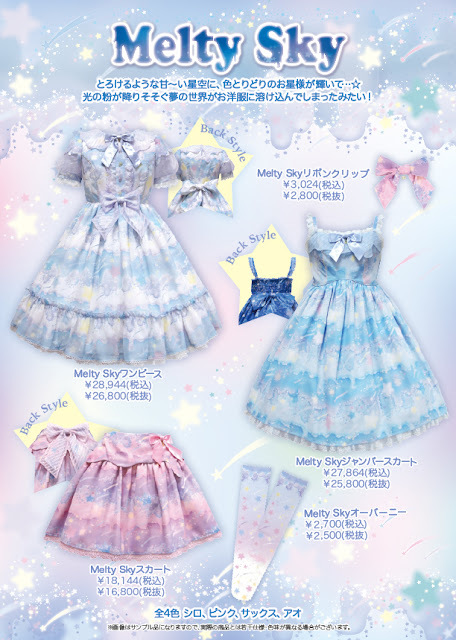 Recently Angelic Pretty released Melty Sky and even though they have released several sky prints in the last years I think this one really has its own look. I feel like this print could look either casual or really ott depending on how you coord it! I think my favorite colorway is the pink one because I love the contrast between the pink and the lavender in it. They could of just made it like the light blue one and have it pink and white but instead they went with something more interesting. My favorite thing with this release though is the design details of the OP. 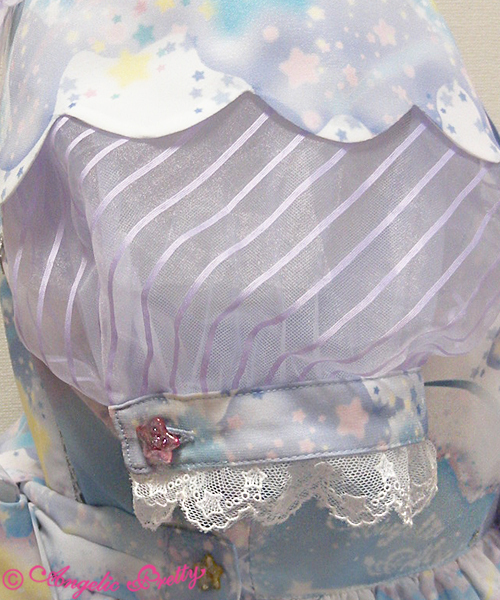 There is so much, like the star lace and star buttons. The collar is made to look like its melting down. 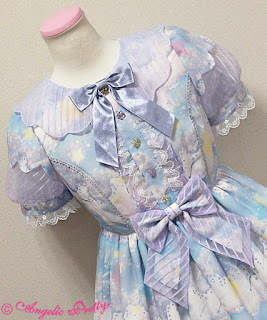 But my favorite is the sleeves, I always like scallop designs and mixed with the sheer candy striped fabric it looks just amazing.